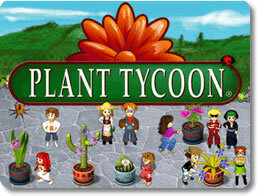 Plant Tycoon Game - Download and Play Free Version! 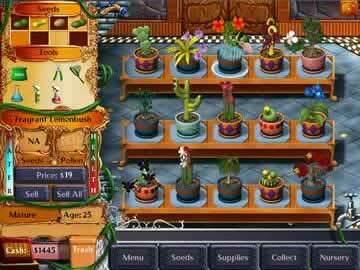 Grow plants and experiment with increasingly rare and valuable species! Plant Tycoon is a gardening simulation game where you nurture plants and experiment with increasingly rare and valuable species. 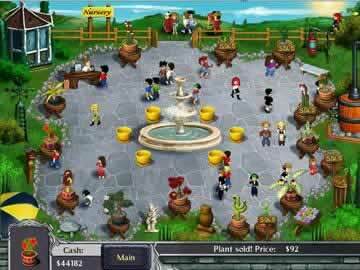 Breed and cross breed plants until you find the 6 Magic Plants of Isola and solve the genetic puzzle. Start with a small amount of cash, a handful of seeds, and some basic soil and water. Grow plants, organize and harvest seeds, monitor your plants' health, maturity, and protect your plants from dehydration and infestations. Sell some of your creations to fund your research, buy better supplies to use in your nursery, and purchase ornaments to customize your virtual garden. It will take creativity and experimentation to find all the plant breeds. From the makers of Virtual Villagers and Fish Tycoon. Developer created video showing some clips from the game.